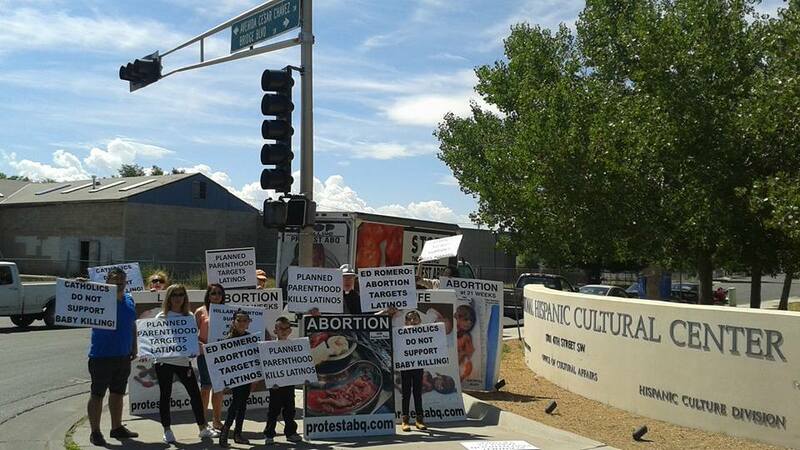 Albuquerque, NM- Planned Parenthood has been caught red handed yet again breaking the law, this time, by selling body parts of their victims, innocent pre-born children. On July 14, 2015 The Center for Medical Progress released a groundbreaking undercover video exposing the illegal trafficking of human body parts. This investigation has further solidified the concern that Americans currently have with the killing business of the nations largest abortion provider, Planned Parenthood. Planned Parenthood received $540.6 million in government grants in 2013, from hard working Americans’ tax dollars. Apparently half a BILLION dollars annually from tax-payers isn’t enough so they have resorted to harvesting every last penny from their victims as possible, regardless if their actions are in violation of federal law. The sale or purchase of human fetal tissue is a federal felony punishable by up to 10 years in prison and a fine of up to $500,000 (42 U.S.C. 289g-2). Instead of being highly scrutinized Planned Parenthood often receives free passes at the federal level, this report has been the catalyst for several Governors to call for state investigations of Planned Parenthood’s killing business. 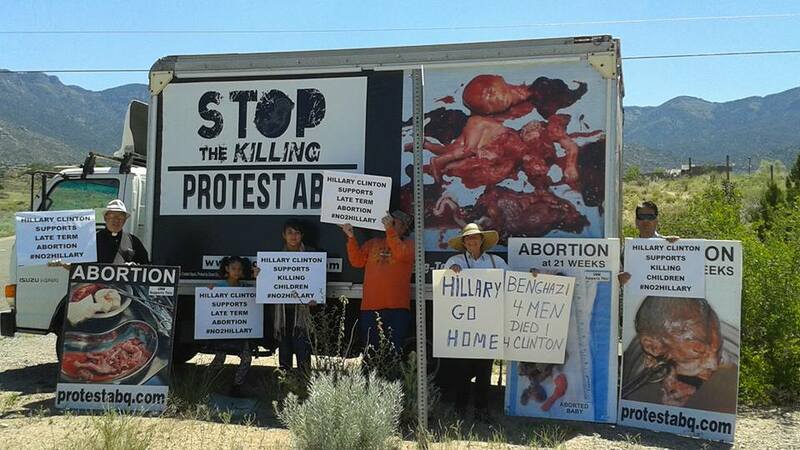 Protest ABQ has reason to believe that the selling of baby body parts is occurring here in the land of Enchantment. Every woman obtaining an abortion at this facility must agree to this stipulation since there is not an option to decline. Is Southwestern Women’s Options selling baby parts for an extra profit? In a state where abortion facilities are completely unregulated Protest ABQ is leading the call to demand an answer from our elected officials. 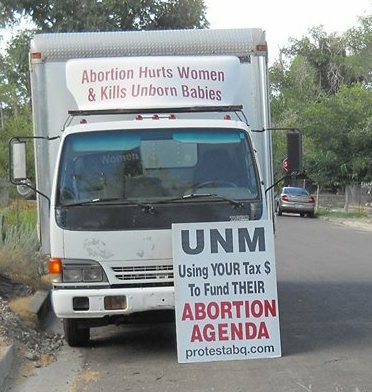 Volunteers outside of the UNMCRH have routinely witnessed University of New Mexico employees from the Health Sciences Center department come to the abortion facility and leave with suspicious materials. These pickups would occur on different days than when Stericycle would come to pick up the aborted babies for disposal. For years members of Protest ABQ have been sounding the alarm about New Mexico’s abortion cartel that runs free of any kind of oversight. The medical board ignores complaints against abortionists and facilities are never inspected by the Department of Health. It would be naive to assume that this new information about Planned Parenthood selling baby body parts for profit is isolated to just them. This is simply an indication of how the abortion cartel at large is operating. Abortion facilities all across the nation are on the look out for ways to line their pockets with money and in the late term abortion capital of the nation this requires further investigation. “As a staff priest for Priests For Life, I stand in solidarity with Rev Patrick Mahoney, the Christian Defense Coalition, Mark Harrington, Created Equal and others as they peacefully protest Planned Parenthood today July 15, 2015 at the Nation’s Capitol. I am calling on pro-life, pro-family activists nationally to peacefully protest Planned Parenthood in their cities and states. I will be holding a press conference and leading a protest of Planned Parenthood later this week with Protest ABQ here in Albuquerque to highlight the need for Governors and State Attorney Generals across the country to join GOV. Bobby Jindal of Louisiana and GOV. Greg Abbott of Texas to investigate Planned Parenthood and other abortion facilities. Call Governor Martinez and Attorney General Hector Balderas and ask for an investigation into New Mexico’s abortion facilities. What Would You Do If You Only Had 24 Hours to Save a Life? Thankfully, on the afternoon of the woman’s appointment we received great news from someone close to the family that this baby girl was not killed! Sadly, in this culture of death and depravity no child in the womb is safe! That is why we must be even more diligent in every way to be a voice for the voiceless. Our ministry is about preserving life and overcoming death, we thank you for your prayers and support that keep us fighting for life. While it’s true that you never know what each new day holds, we know who is in control of the future and He deserves all of the glory! 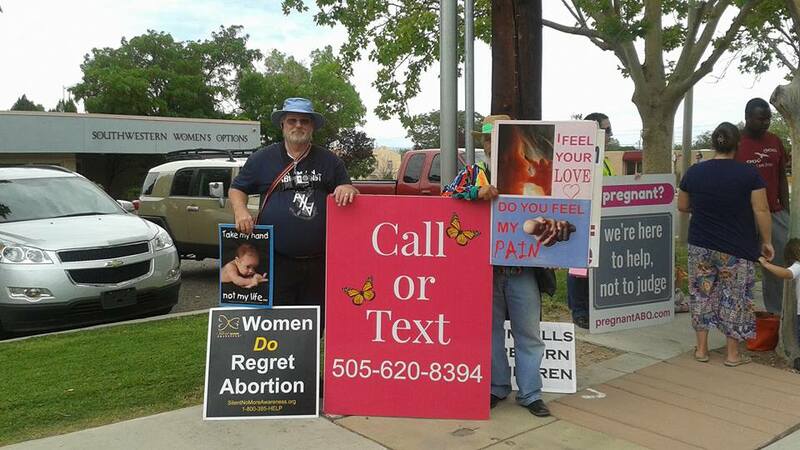 Prayerful protest presence at late term abortion mill. Hillary Clinton in ABQ- She came, she saw, she was protested. Former Ambassador to Spain, Ed Romero hosted a fundraising breakfast for the anti-family Hillary2016 campaign. Tickets were a mere $2,700 a pop, more than the average ABQ family makes each month. Hillary Clinton host, Ed Romero founded ABQ’s National Hispanic Cultural Center, so we decided to let Mr. Romero and the public know that abortion does kill latino babies of his own race. This month we also protested politicians who are pushing their agenda on UNM Alumni here in ABQ. –Please continue to pray for us, we are making slow progress on our groundbreaking projects. –Pray for our nation. The recent SCOTUS decision on gay marriage s hows us just how depraved our culture is and how much bolder we must be in proclaiming the truth. You, dear friends are invaluable to the work that God has called us to here in NM. We are working to make NM abortion free but we absolutely can’t do it without you! 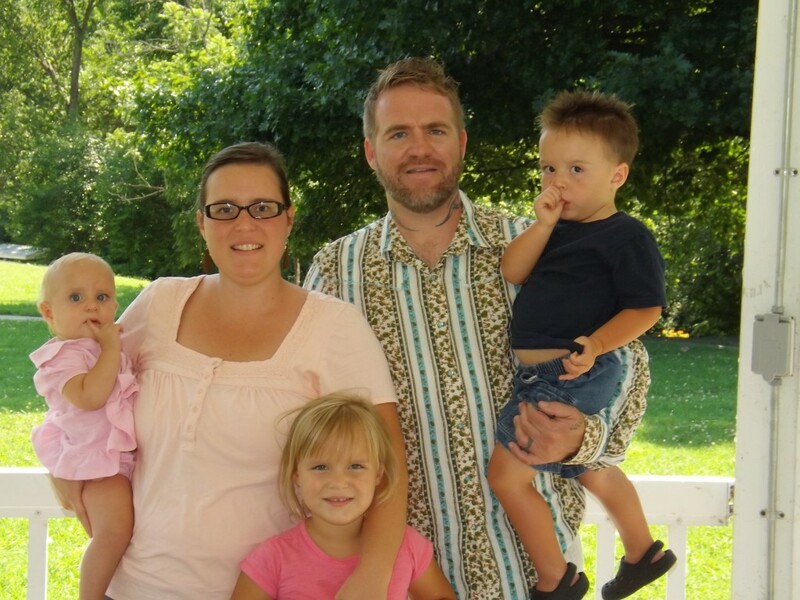 Thank you to those who are partnering with us both financially and through prayer. We are praying for all of you and the specific prayers of those who have sent us prayer requests. We want to pray for you! Please reply to this email with your prayer requests. 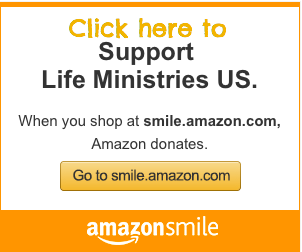 To make sure you never miss a monthly gift, please schedule your monthly donation securely here.